Kovacic will start in Isco's spot, according to Z. But I'm hoping he won't be the only 'new face' in the starting lineup. We need to shuffle our pack and rest our key players for the Roma game. 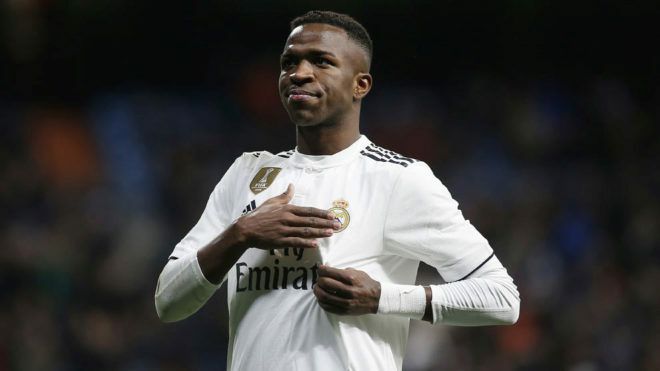 Modric, Carvajal, Kroos, Isco and Benzema should be rested. Especially Carvajal and Modric, their back-ups aren't even good enough to walk in their shadows. 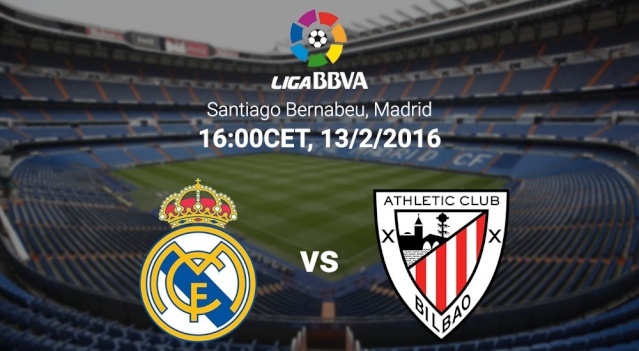 In the last six visits to Santiago Bernabeu, Athletic’s players conceived 27 goals and scored only five. Athletic Bilbao didn’t manage to win over a Real Madrid at Santiago Bernbaeu for over a decade (2005). Real Madrid are eyeing their seventh consecutive win at home. 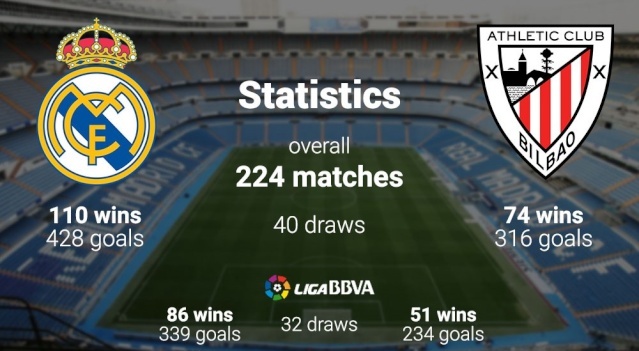 Real Madrid have won six home games in a row in La Liga, with an average of 5.5 goals scored. The Basque side have won four of their last eight away games in La Liga (L4). Ernesto Valverde has won five out of his 15 games as a manager against Real Madrid in La Liga (D1 L9), while four of them have come during his time with Athletic. Goalkeepers: Keylor Navas, Casilla and Yáñez. Defenders: Varane, Ramos, Nacho, Carvajal, Arbeloa and Danilo. Attackers: Cristiano Ronaldo, Benzema, Lucas Vázquez and Jesé. Official Lineup: will be announced tomorrow 30 minutes before kick-off. We'll make the necessary changes to this post once it's revealed. Post Scriptum: The game poster, head-to-head and Match Facts were taken from Sofascore. Zidane said Kova will start for Isco. Both Marcelo and Bale are out. Start with Kovacic-Casemiro-Modric if we manage to finish the game by half time then bring on Kroos for Modric. Perfect game for some rotations. Not too many as Bilbao are a good side. The midfield needs rest. Casemiro and Kova are good enough to play in this sort of game. Carvajal and Benz need to sit too as we dont have capable replacements. Hoping James can take advantage of Bale's abscence and try to kickstart his sluggish season. Playing one game a week... i don't think you'll see many people rest unless they're hurt or you're trying to get playing time for someone. That said, if we get the game under control early, i can see Benz, Modric and Kroos getting subbed out pretty quickly to save them for Roma. We're pretty well rested. I don't think that's an issue. Injury management is about the only thing. No subs. Game is too close. Midfield is like swiss cheese defensively. This reff has been dreadful. Where did they pick him up from ffs. You can't sub at 3-1... it's still too close. If it goes up to a 3 goal lead, then yeah. The Athletic attack came through both the wings. Their fullbacks were unmarked every time, James and Ronaldo really needs to work more. Bilbao plan is push men forward and defend the forwards one on one. So far they are unable to defend Ronaldo and James but Benzema is well contained because of lack of dribbling skills. Kroos just intercepted a ball on defense... first time for everything. I thought i'd mention it. @Adit wrote: The Athletic attack came through both the wings. Their fullbacks were unmarked every time, James and Ronaldo really needs to work more. Bilbao plan is push men forward and defend the forwards one on one. So far they are unable to defend Ronaldo and James but Benzema is well contained because of lack of dribbling skills. Why are you trying to shut people up ? just highlighting how desperate some poster are, is that a problem? benzema running around bilbao defenders all over the pitch, but the sheep can't even see that, more interested in trying to say something negative even if its a lie, but then again that a common trait on here. No tapin today for Benzema. No goals scored. Kovacic was poor. Expected much better performance, lost ball in dangerous areas. Good game from Modric and Kroos. CR was sensational in attack and bid liability in defense.Benzema was poor, no important contributions. James was good defensively in the second half and had a very good game over all.. Some improvement. Varane double yellow for being good in the air. Refcelonas really are the worst thing about La Liga. Dyeah that's why Benz got a 5 rating, lowest on the team.